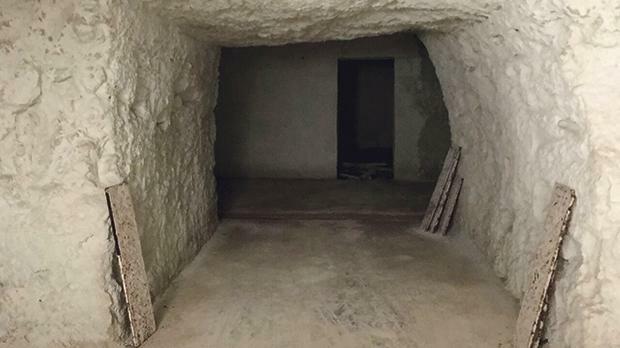 This is the first time the large wartime shelter found beneath the ex-British Naval Hospital in Mtarfa has been opened to the public. As thousands of people across Europe gather today to commemorate the 100th anniversary from the signing of the Armistice between the Allies and Germany, the Mtarfa council is taking celebrations a notch higher with a full day of events to mark the significant role the town played throughout the war as a UK Military base. The festival, Military Mtarfa, this year offers visitors the opportunity to visit a large wartime shelter found beneath the ex-British Naval Hospital. This is the first time that the shelter had been opened to the public, with part of the warren-like underground structure having been made accessible after a series of risk assessments. Mtarfa mayor Daniel Attard explained that the shelter played a vital role during wartime operations. Extending all the way to the Mtarfa bypass, it served as an important hideaway and escape route for all patients and staff during the war. Geared to take on hospital duties in case an emergency put the above-ground building out of action, it even includes an operating theatre. “The shelter, if you can call it thus given its size and intended function, is six storeys deep. Three corridors lead to different wings and the entire place is wheelchair accessible. One needs to keep in mind that this was built for the purpose of accommodating patients’ needs, such as transport by stretcher and so forth. According to records, it was capable of keeping up to 1,200 patients,” Dr Attard said. The main event commemorating British rule in the Maltese Islands, Military Mtarfa, is now in its eight edition and includes a host of other events and attractions that take place all through today. Events kick off this morning with a visit to the Mtarfa Military Cemetery, where 238 Commonwealth burials were made during WWII. Following a commemorative ceremony to honour the fallen, a convoy of at least 20 military vehicles will make their way to the ex-Naval Hospital. “The vehicles will be driven along the by-pass and around the town centre, in what promises to be a unique display, before stopping in the hospital grounds,” Dr Attard said. All through the day there will be various authentic re-enactments performing drills, battle simulations and skirmishes between British and German forces. The former Naval Hospital in Mtarfa. Among other attractions, visitors may interact with soldiers as they walk through the trenches which surround the venue, which perfectly simulate life at the front line as well as at retreat camps. The festival serves as a showcase for all sorts of wartime memorabilia, with various displays from both world wars including authentic weapons, radio equipment and official attire. One of the biggest crowd-pullers is expected to be a large model of a train that has been built to scale by the Malta Railway Foundation for the occasion. The British Railway Service – which was colloquially referred to as a vapur tal-art (land ship) – used to start from the Mtarfa Station. The Armed Forces of Malta, the Police Force and the Civil Protection Department are also present throughout the day, providing an insight into their role during World War II. 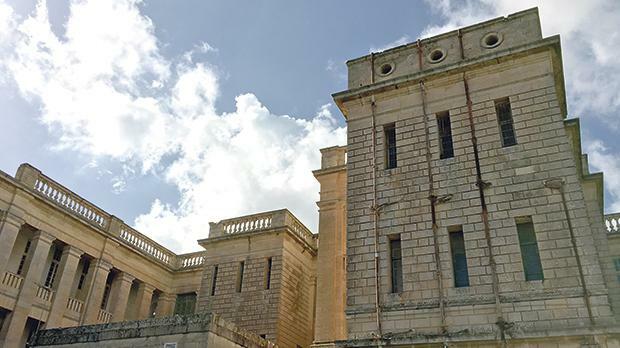 The event, Dr Attard says, is expected to attract not only wartime aficionados but also families and those who would like to enjoy a different day out. But those expecting a festa-style array of fast-food kiosks will be disappointed. The Mtarfa mayor has promised to keep things as authentic as possible, and this extends to the food on offer. “We are setting up a World War II field hospital and field kitchen, together with a typical Victory Kitchen. Visitors can also experience traditional Maltese food,” he concluded. Military Mtarfa takes place today between 10.30am and 5pm and is organised by the Mtarfa local council, with the support of the Valletta 2018 Foundation.